The Pluryal range of hyaluronic acid dermal fillers and boosters, Pluryal, Pluryal Volume and Pluryal Booster has been designed to ensure safe and lasting natural results. The products help address issues such as loss of volume and offer several solutions to help various signs of ageing. Pluryal is used in the mid dermis to correct wrinkles, cutaneous fractures and remodel lips. 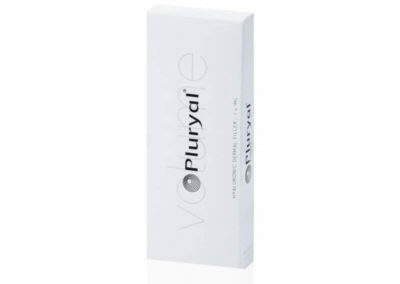 Pluryal is to be used for glabellar line, nasolabial folds, marionette lines and lip contour. Pluryal is used in the mid dermis to correct wrinkles, cutaneous fractures and remodel lips. Pluryal is to be used for glabellar line, nasolabial folds, marionette lines and lip contour. Contains lidocaine. Pluryal Booster is used in the superficial dermis to restore hydration, density and glow. Pluryal Booster the first skin booster with antioxidants specifically designed to reduce the appearance of wrinkles and tighten skin for a glowing appearance. Pluryal Volume is used in the deep dermis to restore facial structure as contour, chin and cheeks and to add volume in lips. Pluryal Volume is also to be used on back of hands.